First rare migrant of the season! Today station 2 enjoyed close views of an Eleonora's Falcon soaring over the counters for a short time. 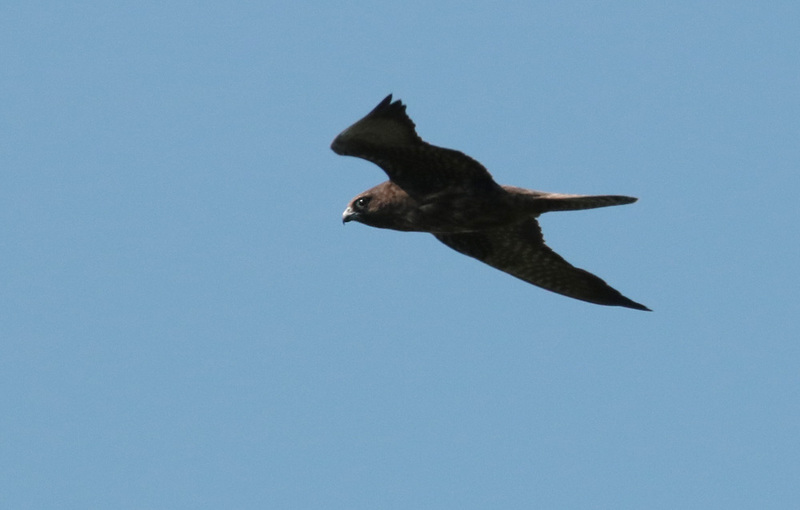 This dark morph bird still shows retained juvenile flight feathers combined with moulted body plumage, indicative of a 2cy bird. 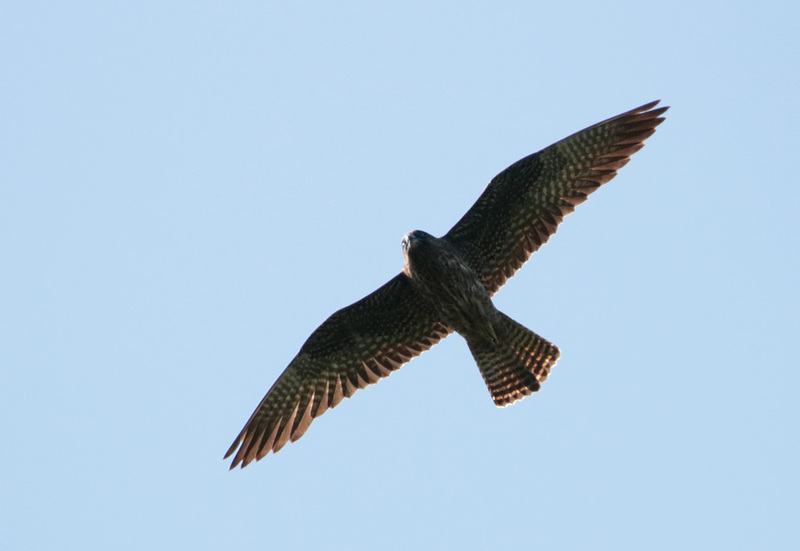 It is the 3rd record for the Batumi Raptor Count, after two records from 2011 and 2012. Migration is otherwise rather calm, with Honey Buzzards streams slowly building up. 3500 of them were counted this afternoon.